Yesterday I started writing a historical romance that I'm targeting towards Harlequin's Historical Undone line. As I write, I'm not letting myself get bogged down in details (like what exactly would her wedding dress look like in 1820?). Details involve research, and that's for later, after the main story is down on paper. Otherwise I have a feeling it will never get written! So how do you do research for your novel? I found an article online here at EzineArticles.com by John T. Jones, PhD. The first thing I do is decide the genre and the setting. I suppose you saw some version of Back to the Future. Here the setting is changing not because of location, but because of time period. Flashing back or forward changes the appearance of the same location. The setting is new, isn’t it? Genre is the type of novel you are writing. That could be a western, action, romance, detective, mystery, gothic, or what ever you decide to dream up. Science fiction would be another genre. Did you notice a possible change in the genre in one version of Back to the Future? The kid on the skateboard changed to a gun-totting westerner. Well, it was still science fiction. The setting is where the action takes place. If the action is in the present, you will not have a great deal of research to do on the time period of the action. However, if the action takes place in 1850 or 130 B.C., you must do research on that time period as was done in Back to the Future. Does the name of each character fit into the location and time period? Don’t call your Viking raider, Joe. Try Eric the Mad or some such. What would the language be of your character? If he lived in 1750 in London, what phrases would he use? What would he sound like? That will depend on his class won’t it? A London cobbler would not sound the same as the Captain of the King’s Guard would he? What about the King himself? How would he sound? What vocabulary would he use? 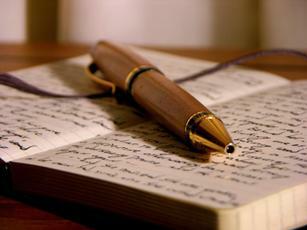 Don’t write a period novel if you are not willing to obtain the education and knowledge you will need to write it. The key to good writing is to write about things you know and understand. Of course, if you are writing science fiction, you can do anything you darn please as long as it “rings true” to science fiction readers. That’s why the advice often given to writers is to read heavily in the genre in which they intend to write. That’s one way to get an education, isn’t it? If you met a man in Walgreen wearing a silver body-tight jumpsuit and having antenna sticking out of a gold helmet, you would think: That guy isn’t from here! If your character walks into a Wild West bar in 1850 wearing a green suit, you will have some explaining to do. My guess would be that he is Irish and will be asking for a Guinness. Note: Guinness started in 1759 but I doubt that you would find it in the Wild West in 1850. Dress must be consistent just as language is important. You need to know the local dress, not some stereotype dress you saw in a “B” movie. Dress is also characteristic of vocation and class. A banker, a blacksmith, a millwright, etc., would all be differently dressed in the same location during the same time period. Early settlers from Texas in Arizona could be told by their hats. If your character is a nurse, you must know something about how a nurse performed at her location and during her time period. Don’t have that soldier shoot someone with a Winchester during the War of 1812. Oliver Winchester was born in 1810. Each character needs a history. A person’s history at least in part determines his or her actions. You may never mention such a history in your novel, but you must know it. Each character needs characteristics. You may never mention most of them but you must know them. These are the things that in combination make your character distinct from all other characters in the world. Take Superman for instance or Henry the Eighth. The bottom line is that all things must be consistent and logical if you want your novel to fly. If something is strange, you have some explaining to do. The easiest way to do your research is by reading in your genre. I don’t like reading most novels. Therefore I do research on the time and place. I like to start with a map of the area. Then I like to read the history of the area even before the time period determined. I read history books, old magazine articles, Internet articles, etc. I like to visit the area and visit museums and historical societies. I like to talk to the people, especially the old timers that have significant tales to tell. Go into book stores, yard sales, book sales, junk shops, antiques shops, and other places you can pick up magazines and books for a song. Look at the stuff they are selling in antique shops and ask about the history of unusual items. The way you do that is to say this: What is that thing? In a way, it is much like being a newspaper reporter. I like to search old newspapers for interesting stories to see what other “reporters” have done. Look in old encyclopedias, catalogs, and almanacs. You will be surprised what you can learn. When I was writing Revenge on the Mogollon Rim, I decided to read one of Zane Grey’s novels, the settings of which was in the areas near my home in Arizona. I knew something about Zane Grey because I was a guide and worked on exhibits for the local museum. I expected to help in the rebuilding of his cabin that was destroyed in the Dude Fire. However, I moved from the area (Payson, AZ) before that task was started. Anyway, I was reading his novel and came up on a phrase that didn’t seem right to me. It was a view his character saw from the Mogollon Rim. I didn’t think he had it right. I drove to the Rim and parked very near the place he described. Then I saw that Zane Grey had described the view perfectly. Mountains don’t move that fast. It’s a good idea to know your subject, your location (setting), and your characters before you start writing the novel. Well, don't let that stop you. You can fill in the blanks later. Just don’t let some bold character take over your book. This is all wonderful advice, but one thing bothers me a bit. Did you notice how he said that he doesn't like to read most novels? I can't even imagine not liking books, especially for a writer! Reading is such a huge part of my life. I love novels. Yesterday's writing group was canceled due to inclement weather, but my romance novel loving friend Maureen said she would go with me on Saturday to the Hudson Valley Romance Writers of America monthly meeting. Today I have a big day. I'll be going to a job interview for a nursing position that's every other weekend, which would be perfect for me since I could still stay home with my baby and write! Also, tonight is my 3 year wedding anniversary with my darling husband Jeff.